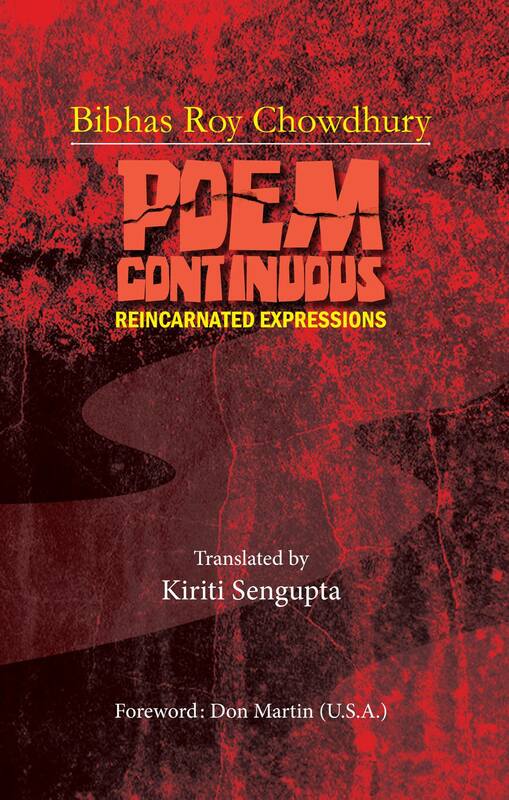 Poem Continuous is probably the most vibrant feather in Kiriti Sengupta’s cap if we consider his career as a translator. The original book, written in Bangla, is authored by renowned poet Bibhas Roy Chowdhury, and translating his poems into English is naturally a big deal. This collection of poems have been dedicated to another distinguished poet, Binoy Majumdar, who, although wrote a considerable volume of poetry, is perhaps best known for his collected elegies called “Firey Esho Chaka” [Come Back, Wheel]. Roy Chowdhury’s poems are related to the erstwhile poets in terms of the grimness of the imageries they use. If Majumder compared grief to be the unmindful hands touching a shingle, Chowdhury makes the moon and the snake fight in a pastoral scene which would again remind you of Shakti Chattopadhyay’s Marxist approach. In fact, one of the poems in this volume has been named after one of Chattopadhyay’s poems. What Sengupta has done is laudable because this volume pays tribute to a lot of poets who have been the icons of Bengali literature. There is a poem that refers to Tagore in a strange, sad mood that is truly but subtly reminiscent of Binoy Majumder’s poems which the reader will surely enjoy. In other words, this book would take you to your roots, if you are a Bengali. If not, you will learn a lot from the references. This is something that you would always treasure and want to read and re-read.